Quite intense aromas of waxy lemon preserve, plasticine, dry white flowers, celery leaf, salty brine, sweet nuts and bruised apple. Crushed seashell, wood glue and a bit of laquer come through as well. Complex and nuanced, but not for everybody. Palate is less obtuse and has nice waxy texture, bright acidity, balanced alcohol and decent persistence that is savory and distinct. 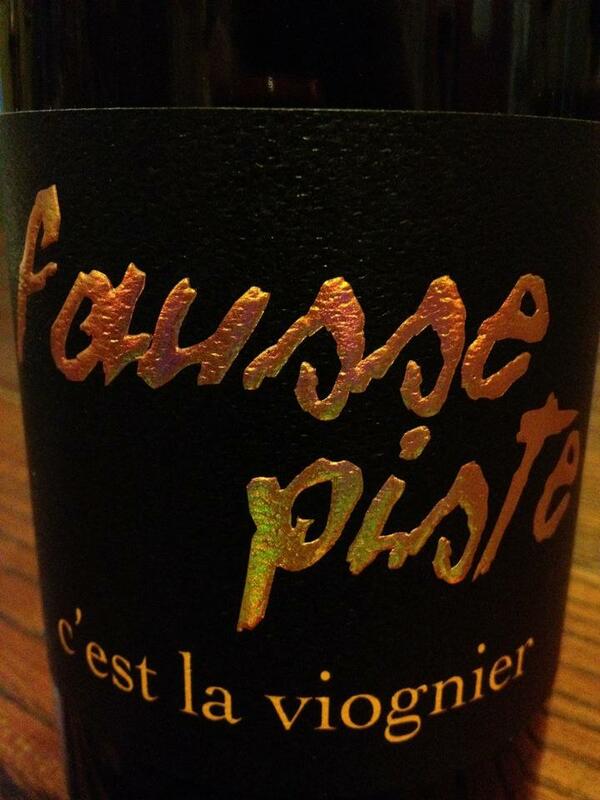 Flavors follow the nose with nutty and brine notes, crushed rock, more bruised apple, wood glue and plasticine. Salty, tangy and waxy, quite invigorating and challenging to taste, I nailed this wine blind. The oxidative and aldehydic nature of the vinification is the signature stamped on this wine and once you tasted it, you’ll never forget it. Somewhat similar to a light Fino, this is a delicate and wonderful food wine and really shines with funky, soft cheese like comté, mushroom cream sauces, quiche or heavily spiced Asian cuisine. 70% Chardonnay and 30% Savagnin from vines planted between 1976 and 2000. The grapes for this wine are harvested, sorted and pressed with 1-3 grams of sulfur per hectoliter before being fermented separately in old foudre for 9 months and topped regularly. Then the lots are blended together and aged for a further 15 months without topping and lightly filtered before bottling (though I’ve read that these wines are not filtered, and I have yet to find out if the wine goes through malolactic…). “A wine made with love and passion produces an emotion…You can find in a wine the personality and the character of those who made it because each gesture, each operation, each decision has its importance. The “life force” is so well constructed that if we speak of natural wines, you will not find two wines that are the same anywhere in the world, as opposed to industrial wines which are all similar. It is interesting to think about sense of place in the context of Jura. Does the oxidative nature of Jura wine (not all of the Tissot wine is oxidative) minimize or enhance a sense of place? Regardless, this is REAL wine. I met Jim Maresh (Arterberry Maresh) and Mark Bosko (Colene Clemens Vineyards) for lunch today at Red Hills Market, in Dundee. We bullshitted a bit and tasted through a couple of Jim’s wines. The food at Red Hills Market is unbelievably good and priced well. It’s worth a visit or two if you are in the area. Very pleasant and immediately engrossing. So rich yet lithe and long aromas. Wide and friendly, it also has quite a bit of coiled energy and is mineral and stony. 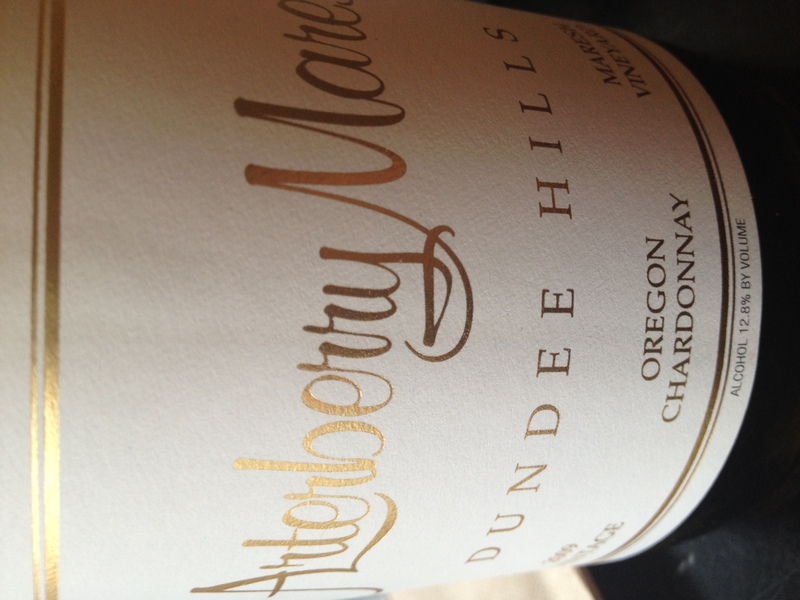 Ripe but delicate stone fruit, ginger cake, lemongrass, cardamom, golden sweet hay. Refined and elegant. It is primary at this point and the oak is prominent but not overbearing. On the palate, there is a bright acid spine, which is the thread that weaves throughout with good mid-palate intensity and a long, lovely texture from judicious oak and extended time on lees. Flavors follow the nose with rich tones of yellow flowers, brioche, yellow plum and white raspberry. The finish has breadth yet retains focus. Juliard Vineyard is dry farmed and just down the hill from Maresh Vineyard on Worden Hill Road, the heart of the Dundee Hills. From 1974 plantings of upright clone (Ponzi? 828?) and Pommard, the wine shows an old vine sinuosity and rustic complexity. Reticent. Dark, earthen and floral, somewhat wet, rocky, mossy and nutty with bramble and tinges of tart blackcap raspberry, black cherry and bitter chocolate. There is a bucolic purity here and a deepness that is austere and dark. It is not “easy”, but there is complexity and that is what I enjoy about it. Bright natural acidity runs throughout and is supplanted by fine coffee bean tannin and a swarthy, floral finish. 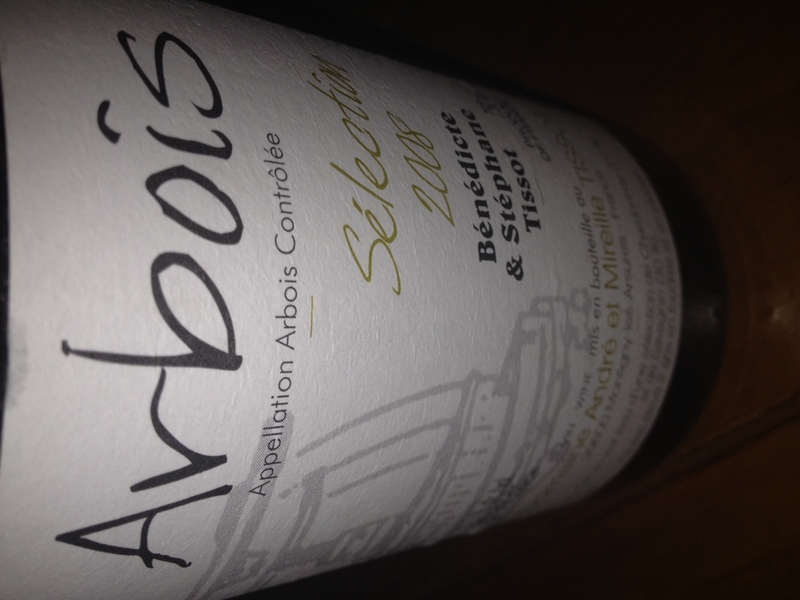 This is lovely with earthen charm, full of spicy and brambly notes with nice iron, black cherry, plum and minerality. 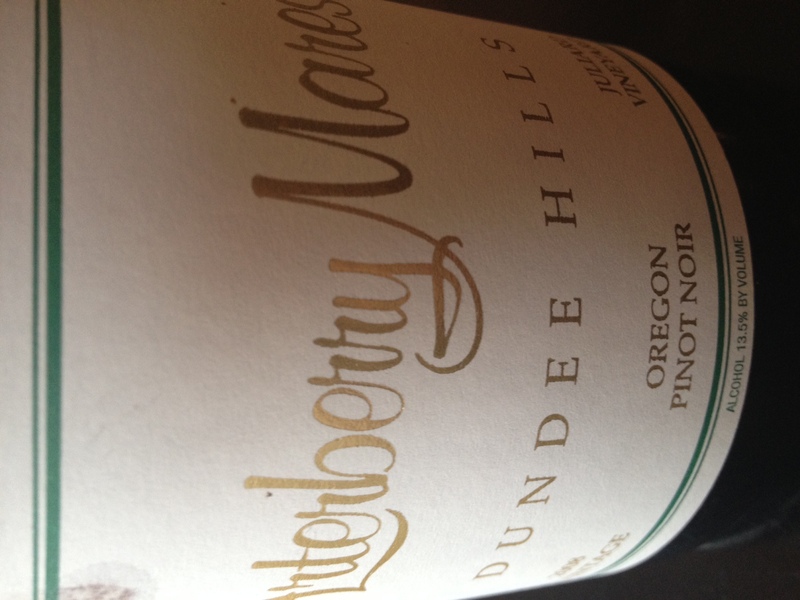 Complex, distinct and deep, this wine is a welcome contrast to the lithe and red-fruited style of most Dundee Hills Pinot Noir and to the velvet richness of the Maresh Vineyard bottling. Great complexity and honesty here, I think this needs time to knit and should be best from 2014-2028. Unfined and Unfiltered. His passion for old-vine, dry-farmed Pinot Noir and Chardonnay is palpable and his wines show good energy and definition. He is a proponent of REAL wine. I first encountered the wines of Bouchard while interning in la cave du Rhys during the 2011 harvest. In late September of 2011, the enologist, Eric Prahl, brought in the 2006 Roses de Jeanne Champagne Blanc de Blancs La Haute-Lemblé. That Bouchard sparked an interest in all things bubbly for me and very soon was followed similarly entrancing wines (bottles of Agrapart, Egly-Ouriet, Selosse , Mouncuit, Chiquet, Krug NV and Bollinger ’99 are the more recent standouts). But, then another bottle of Bouchard. Almost as soon as the cork was gently kissed out and the light snap-crackle-fizzle of bubbles in the ballon subsided, it clicked for me. Something was making more sense. Light straw. So bright with chalky, mineral, crushed stone aromas, hints of hazelnut, vanilla pod, cucumber and honeydew. More cherry and raspberry begin to emerge on nose towards the final glasses. The minerality is screaming. The mineral density and a spiny and laser beam acid cut lifts the wine through it’s light mousse. Vinous but delicate flavors of wet stone, lemon pith, cherry skin are present with subtle hints of graham cracker, cranberry and sweet almond. Driven by its bright acidity and mineral austerity there is nice elegance and autolytic texture dancing around. Great persistence. Simply stellar now. Will improve with time. 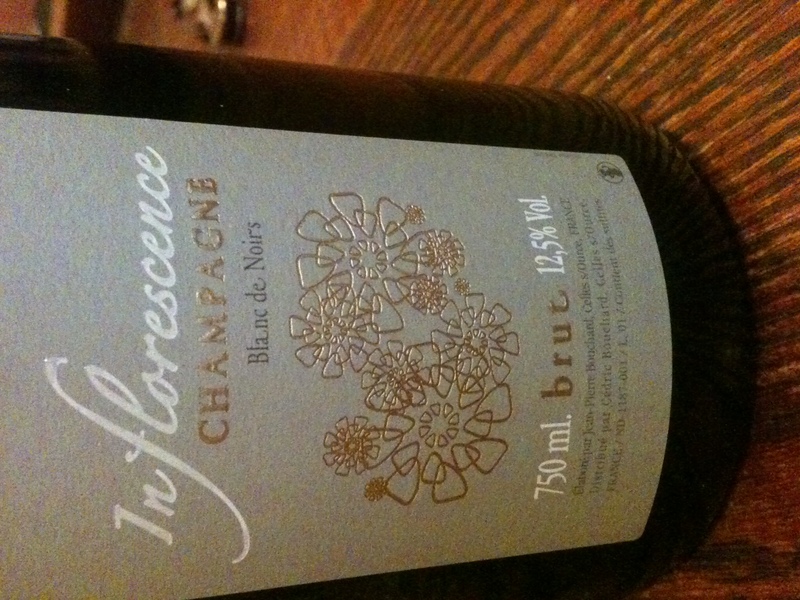 Inflorescence is 100% Pinot Noir which comes from vineyards his father owns a 1.5 hectare lieu-dit, Val Vilaine,in the village of Celles-sur-Ource in the Côte des Bar. The Côte des Bar lies some 70 miles south of the three main regions of Champagne, Montagne de Reims, Vallée de la Marne and Côte des Blancs. The Côte des Bar is quite removed from the Cretaceous chalk of the main regions of Champagne and is closer to Dijon than it is to Reims. The soils are Kimmeridgian marl capped by Portlandian limestone. Is it any wonder that Bouchard’s wines are more Chablis-esque? Most importantly, there is a clarity in character which makes these wines exceptional and it is a result of Cédric’s staunch quest to transmit a sense of place in his wines. 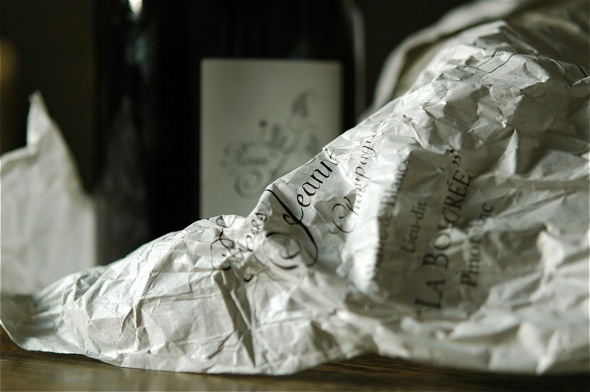 Unlike most Champagne, which are very often blends of vintage, varietal and vineyards, the wines from Bouchard are single varietal, vintage and vineyard wines. Bouchard’s philosophy is uncompromising. Because his holdings are so small, he plows by hand. He harvests by hand. His yields are quite low, more similar to Village level Burgundy (45 hectoliters/hectare) than to Champagne. As a result, his wines are distinct. They have a presence, they are bright, focused and rather tightly coiled. Cédric takes care of all the viticulture and practices organic farming. In the winery there is little intervention. The fruit is foot tread and fermented with wild yeast (primary and malolactic) in stainless steel. He only uses first pressing and there is no chaptalization, no fining, no filtering, no cold-stabilization and no dosage. The wines are aged 16 months on lees and only racked just before bottling. Bouchard is supporter of extended and cold second fermentation in order to create smaller, finer bubbles and he bottles at light pressure at bottles of 4.5 bars (as opposed to 6). His bubbles walk the line between gentle, delicate and austere, mineral-to-the-core. They are flinty, chalky, sinuous, lithe, more similar to a rich but steely Chablis than to most Champagne. The stainless steel is a terroir magnifier, a terroir amplifier. I really appreciate how Cédric Bouchard’s wines state the disgorgement date on the bottle; what transparency! When so much of Champagne is more or less the antithesis of terroir, Cédric’s singular focus in on emotional Champagne of a single vineyard, varietal and vintage is refreshing, both intellectually and viscerally. His Pinot Blanc, La Boloree, is in my sightglass and once I find it, I will report back. This is REAL champagne…I think that the emotion behind the wines shines through. Do you?